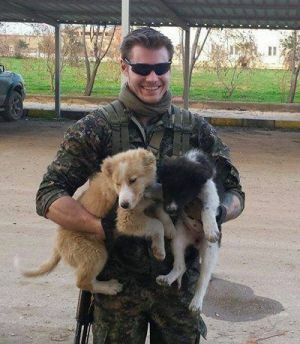 An Australian killed fighting for the Kurds against Islamic State in northern Syria - and thought to be the first Westerner to die in battle against IS – has been identified as 28 year-old Ashley Kent Johnston. Seriously can't believe the SMH is encouraging this...... Shows what a farce Australian policies have become. Raise money for this group.....good. Raise money for that group....go to jail. Shoot people in the head while wearing this colour.....good. Shoot people in the head while wearing that colour....cancel your passport and go to jail.